Since I’m such a DIY crafty person, I just had to share this idea. These are absolutely gorgeous! 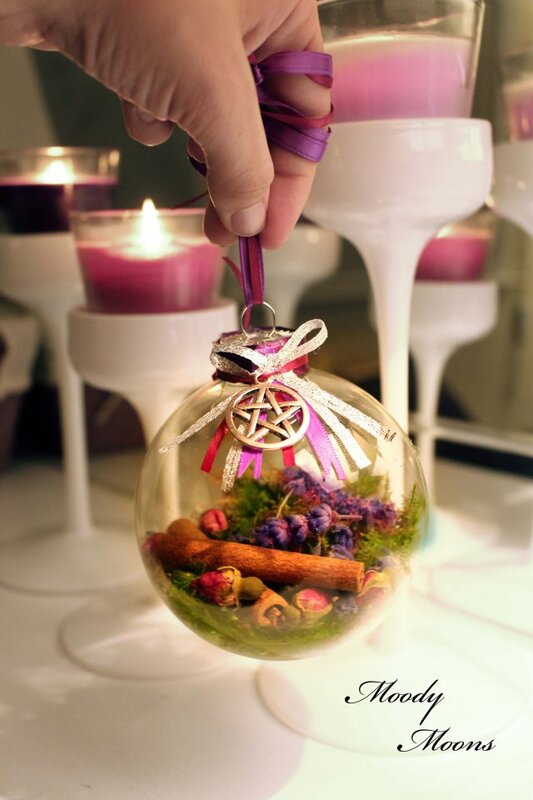 Witch balls are an Old World pagan tradition. 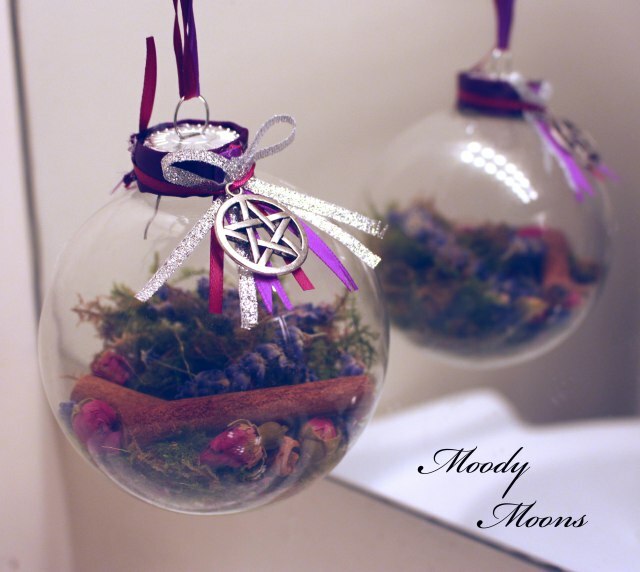 Hang them in windows, over beds to ward off nightmares, in the garden to bless new growth, in kitchen to welcome good spirits or over doorways to protect the entrance. The glass of the balls is believed to deflect negative energy. I filled mine with all-natural ingredients like rose (for a loving home) and cinnamon sticks (for protection). I even picked fresh green moss from the garden and preserved it using a new method I just learned. I think it came out cute! Hopefully it will inspire you to create your own, or if you’re not so crafty, I’ll be happy to make one for you!